This December people all over the country are taking action to speak out for real Net Neutrality. President Trump’s communications regulator has scheduled a vote for December 14 to repeal Net Neutrality. We must #StopTheFCC before then. Over 750,000 people have called Congress. People are protesting at over 600 locations. Organizations with web sites will #BreaktheInternet on December 12. And on December 14, I’ll join a Wake Up Call Rally in Washington DC. We’re all proclaiming the need to protect the fundamental structure of the Internet — which has been with us from the beginning, but is under threat today. If you can do only 1 thing to help: Join the over 750,000 people who have called Congress. Congress can slow down the FCC vote or even force it to abandon the vote altogether. Key lawmakers sympathetic to the cause are considering stepping in to do just that — a few have spoken out already. The faith community understands the power of story. 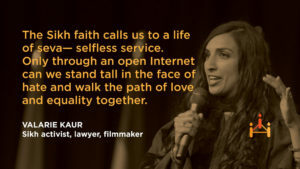 The Faithful Internet campaign is working to bring that voice to the policy-makers at the Federal Communications Commission who are threatening to turn the Internet over to network owners. 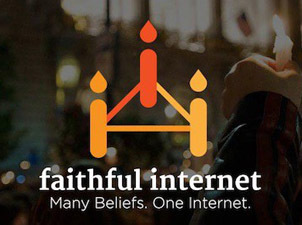 Visit FaithfulInternet.org where you can learn more and see testimonials from Rev. Otis Moss III, Linda Sarsour, Sister Simone Campbell and Rev. William Barber to name just a few. This blog was originally published at The Salt Collective. This entry was posted in Front Page, Spirit Filled Network on December 11, 2017 by colleen.